When I first started teaching I was cleaning out my gym closet and I came across a box filled with blue cups. I thought to myself, why would cups be in this closet and I ignored them as they collected dust for a few years. Then, one day I decided to throw them into a lesson and I was amazed at how much students enjoyed stacking and down stacking cups. 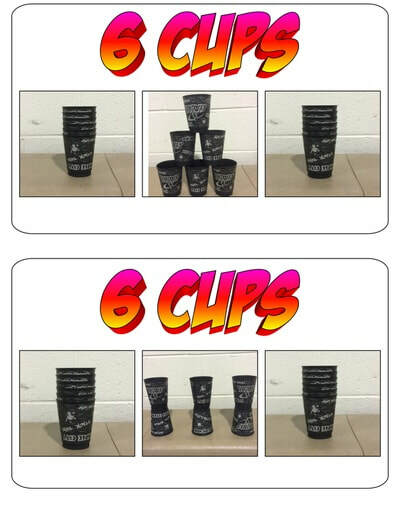 Literally, stacking and unstacking small cups! I was blown away at how simple, yet powerful they were. I watched students who weren't the most athletic become PE Superstars. 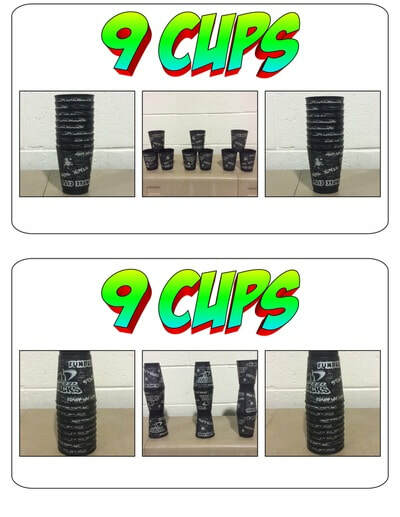 All it took were cups! Small blue cups! Once I saw the potential they had on my class and our school, I began to learn more about how I could implement them in stations, warm-ups, and into their very own unit. 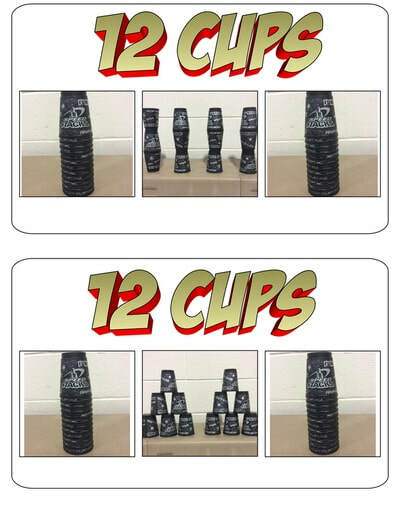 Fast forward to present day, and my cup stacking unit is one of the most exciting, school-wide anticipated, and enjoyable unit that I am able to teach to my students. This page is dedicated to some awesome activities I have learned, adapted, and created over the years. So, go through your gym closet and see what has dust on it, break it out, and see how your students react! 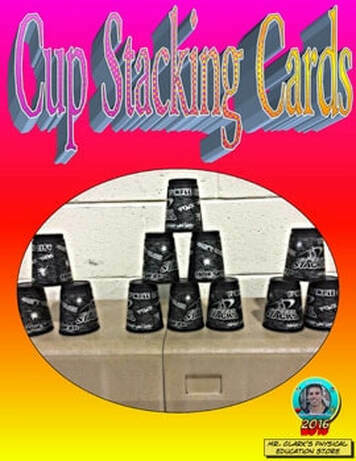 Here are some Awesome Cup Stacking Activities that can be used as part of stations, warm-ups, or main activities! 4. 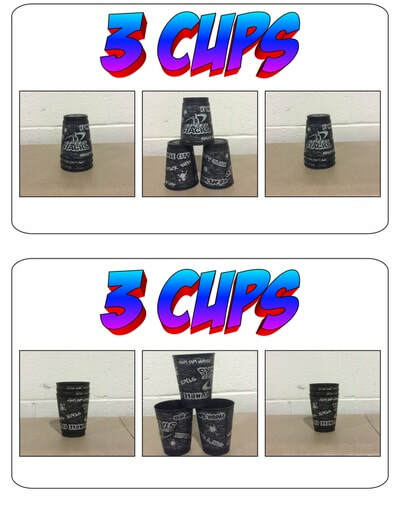 Partner Stack and Tag- Players will be partnered up and will each have 3 cups. They will have to either stack tower 3 in a single stack or pyramid 2 and then 1 and then tag their partner before their partner tags them. Object is to stack fastest and then tag before partner tags you. If both trying to tag, then they run to opponent’s stack and continue activity. Pt for each time. Switch partners a few times. Variation- can add more than 3 cups and increase/decrease distance between partners. 6. Partner Cup Stack Mirror and Move- 1 partner creates design and teaches it to partner with their cups. The partner starts to create it as fast as they can while their partner (the designer) performs as many of an exercise before they can create and downstack. They switch roles and can also decide exercises.